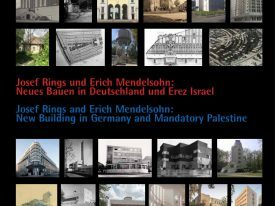 In 2003 the Bauhaus Center in Tel Aviv presented the exhibition and book Revival of the Bauhaus in Tel Aviv: Renovation of the International Style in the White City, curated and edited by Shmuel Yavin. Conservation of the White City had just begun then, and seemed relevant mainly to professionals in the field. In time, the general public has also become interested in Tel Aviv’s modernist architecture and its conservation. 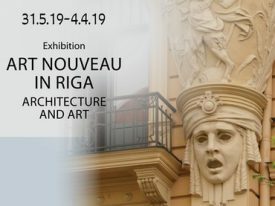 Therefore, we have decided to produce an up-to-date exhibition, accompanied by a new book in a different format. 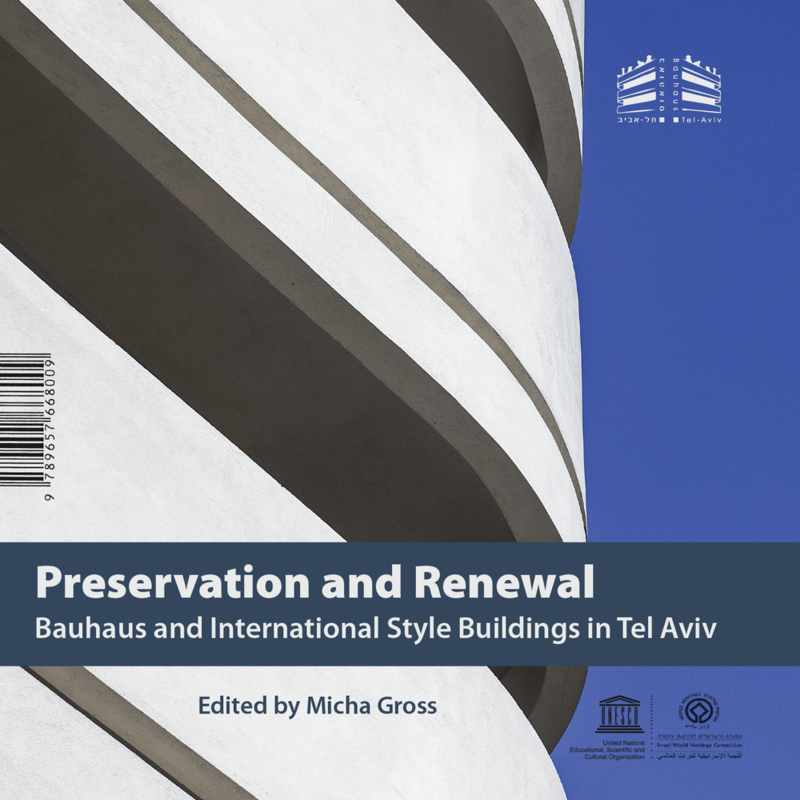 In the exhibition and book Preservation and Renewal: Bauhaus and International Style Buildings in Tel Aviv color photographs present images of renovated buildings in the White City alongside historic photographs and architectural plans. The book’s compact design allows one to peruse it while touring the city, next to the buildings themselves. 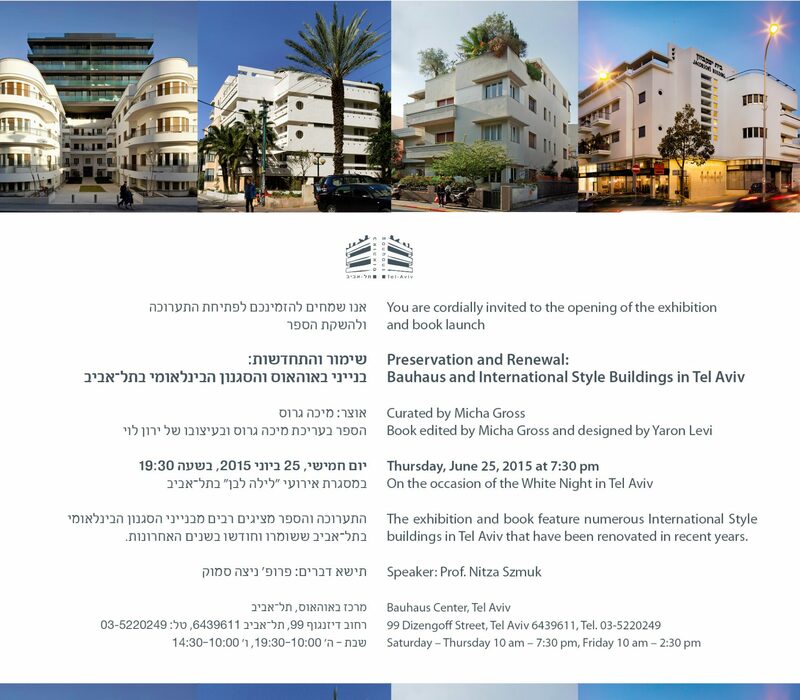 It is our hope that all owners of buildings slated for preservation in Tel Aviv may be convinced of the feasibility of preserving their property, and that our next exhibition and book may present the entire White City as well preserved.